Turkey provides incredibly attractive and fascinating possibilities to the lovers of the mountaineering with her forests having various and rich geomorphologic and tectonic structure in different heights and remarkable flora and fauna and her mountains having rich and wild life, not only for the winter tourism but also for the climbing and tracking. 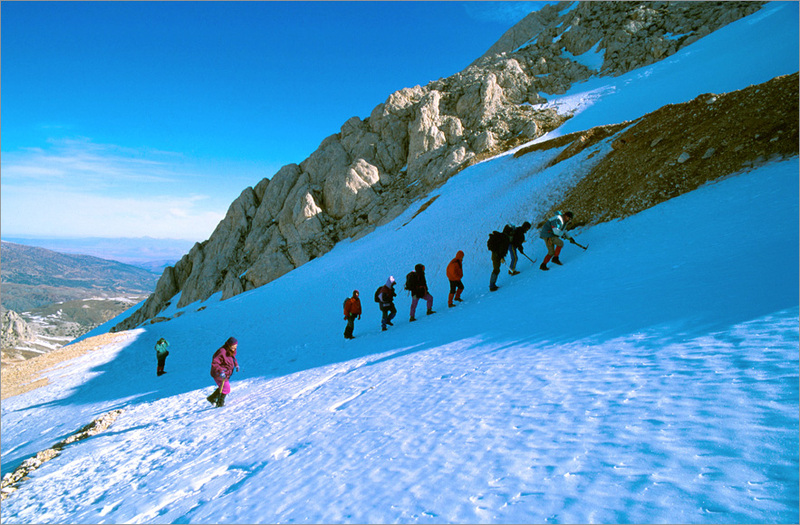 Each year, many tourists visit Turkey for mountain climbing and tracking. Mountaineering, in addition to being a climbing to the mountain sport in terms of the basic meaning of the word, carries importance in terms of socializing the people and teaching them how to live with the nature and be part of it. This sport has many sub-branches like; high altitude mountaineering, winter mountaineering, ice climbing, rock climbing and tracking. 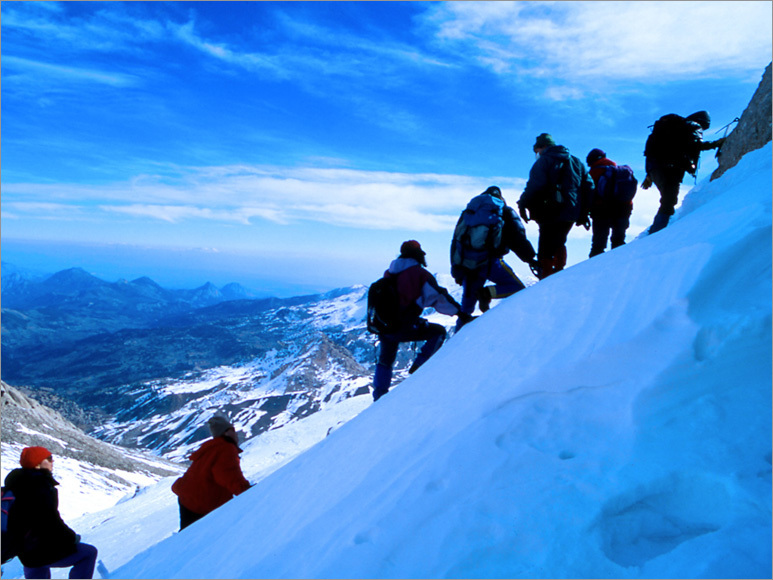 Mountaineering has a history dating back to the middle of the 19th century in Turkey. 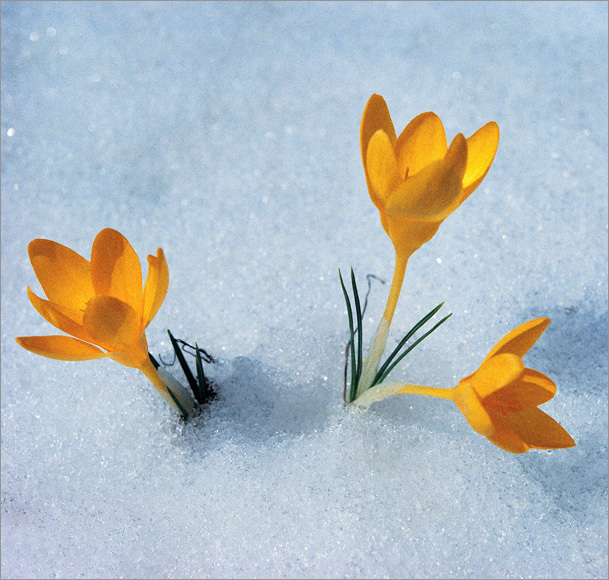 The first attempts were organized by the Christians due to their religious affinity for the Mount Ararat, besides; the first climbing to the other mountains was realized by the foreigners. 30th July 1902 has been generally regarded as the beginning of the Turkish mountaineering sport, in the memorial of the Prof. Ali Vehbi Turkustun, climbed to the Mont-Blanc on the Alps with his French friends and strokes the Turkish flag on the top of the mountain, at said date. In 1928, the first Turkish Mountaineering Organization, called “Turkish Mountaineering Society”, was established. In 1939, “the Federation of Mountaineering and the Winter Sports”, attached to the General Directory of the Gymnastics, was founded with the directorate of Latif Osman Cikgil. 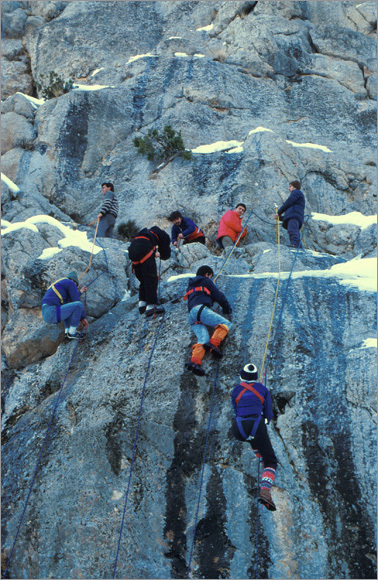 The Federation of the Mountaineering and the Winter Sports, established in the body of the General Directory of the Gymnastics, began to function independently as the “Mountaineering Federation” in 1966. Turkish Federation of Mountaineering became an official member of the UIAA in 1977. 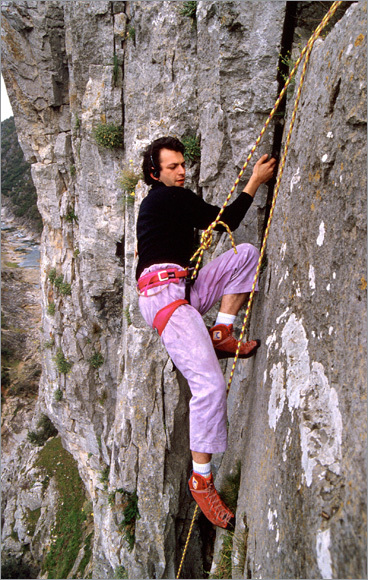 After the 1980s, our mountaineers have displayed successes, marking the Turkish mountaineering history, in climbing. In 1995, Nasuh Mahruki became the first Turkish mountaineer climbing to the Himalayas, labeled as the roof of the world, and reaching the Everest Peak and Alper Sesli climbed to Kilimanjaro having a height of 5898 meters. Turkey, of which climate is dominated increasingly by the continental conditions at the direction from the North to the South, is surrounded by the mountain zone of the North Anatolian Chain of Mountains, Central Anatolia Massifs the South Anatolia Chain of Mountains, and the Southeast Anatolia Chains of Mountains. Istiranca (Yildiz) Mountains (1000 m.), Bursa Uludag (2543 m.) , Bolu Mount Kopoglu (2400 m.), Mount Ilgaz (2587 m.) and Karagol Mountains (3100 m.) belong to the mountain zone of the North Anatolia Chain of Mountains; the volcanic mountains like Mount Erciyes (3917 m), Mount Hasan (3263 m.), Mount Ararat (5137 m.), Mount Tendurek (3533 m.), Mount Suphan (4058 m) and Mount Nemrut (3050 m) to the zone of the Central Anatolia Massifs; Bey Mountains (3086m. ), Bolkar Mountains (3524 m.), Hakkari Mount Cilo (Buzul), Mount Sat (4136 m.) and the Nur (Amanos) Mountains, being the folding chain of mountains named Taurus Mountains, to the mountain zone of the Southeast Anatolia Chain of Mountains. Western Taurus (Bey Mountains), Central Taurus (Bolkar Mountains, Aladaglar), Munzur Mountains, Cilo-Sat Mountains and Kackar Mountains (the Western Group- Varsamba (Versenik), the Kavran Group, the Eastern Group- Altiparmak) are the mountains, formed through folding and break, among the other ones. Mount Suphan, Mount Nemrut, Mount Hasan, Mount Erciyes, Mount Ararat and the Mount of little Ararat are volcanic mountains. - The applications from abroad are delivered through the channel of our overseas agencies to the Ministry of Foreign Affairs. - The foreigners, living in Turkey, should apply through the medium of their representative offices to the Ministry of the Foreign Affairs, and if they don’t have representative offices, they should apply directly to the Ministry of Internal Affairs. The travel agencies in Turkey deliver the permission demands of the foreigners, who have applied to them, to the Ministry of Culture and Tourism. The travel agency should deliver the below information belonging to the foreigners, demanding to climb to the mountains, to the Ministry of the Culture and Tourism. The applications can be made through the fax number +90 312 212 85 97, or through mail to the General Directorate of Publicity of the Ministry of the Culture and Tourism. - For the people invited by the Mountaineering Federation, the federation applies to the Ministry of the Internal Affairs. The permission applications should be made at least 3 months before the start of the climbing by the foreigners, the domestic permission applications should be made at least 2 months before the climbing.